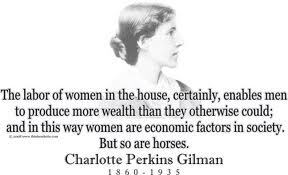 Charlotte Perkins Gilman spoke to the Woman’s Club of Evanston in 1919. Gilman was one of the first feminists. She was the author of The Yellow Wallpaper, which is a story about postpartum depression that turns into postpartum psychosis. It was first published in 1892 in The New England Magazine. The subject of Charlotte Perkin Gilman’s talk at the Woman’s Club of Evanston was “The Waste of Women’s Labor.” It caused quite a stir in the community of Evanston. I wonder what women in the meeting had read The Yellow Wallpaper and how did they feel about it. What prominent Evanston club women had experienced or were experiencing postpartum depression? Were any of the them prescribed a “rest cure” like Gilman and the character in The Yellow Wallpaper? Was it a subject women could openly talk about? Granny Dell (my great-grandmother) had a difficult birth with my grandmother. It was a breached birth. Juney (my grandmother) was also born 14 months after her older sister, Harriet (Aunt Harriet). Granny Dell was quoted often in national publications about how the Community Kitchen was created to ease women’s responsibilities at home and provide comfort and relief. Gilman was a catalyst for inspiring the Community Kitchen. The three chairwomen of the War Relief Committee and co-founders of the Community Kitchen (Mrs. James Odell – my great-grandmother, Mrs. Homer Kingsley, and Mrs. Rufas Dawes — and I refer to them by their married names because that is how they were referred to publicly by society, but you should know them as Elizabeth Odell, Nellie Kingsley, and Helen Dawes) traveled to the East Coast after Gilman’s talk to visit successful established cooperative kitchens. The women were inspired, encouraged, and excited after hearing Charlotte talk. Who wouldn’t be? This is going to be a juicy chapter to write for the Community Kitchen book! 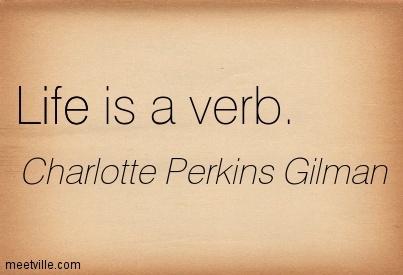 I love researching Charlotte Perkins Gilman. What a woman! I had postpartum depression after the birth of my son. I didn’t experience postpartum psychosis which the character in “The Yellow Wallpaper” suffered from, but I did have intrusive thoughts for the first three months after his birth. I remember going to Virginia Beach on vacation when my son was three months old. I couldn’t stand anywhere near the balcony for fear of him falling. And we had a nice balcony view of the beach, but I stayed far from the balcony. I treated myself to a cranial sacral massage at the Edgar Cayce Center. I met a kind woman there named Annie, who is a very close friend now. Annie was my masseuse and did the cranial sacral massage. Our conversation during my treatment revolved around motherhood and our own mothers. At the time, I was dealing with the anticipation of losing my mother (at the time my mother was in a nursing home and very ill) and it weighed heavy on my heart. Annie’s mother died in childbirth giving birth to her. Women hold their hearts in the womb, whether is be physically present or not. Women give birth, even when they do not. You can find more information on the Charlotte Perkins Gilman Society here. I am hoping to find a copy of her speech, The Waste of Women’s Labor for my book. Better yet, I’d love to find her journals and specific reflections from her visit to Evanston in 1919. This is an interesting slideshare on The Yellow Wallpaper. 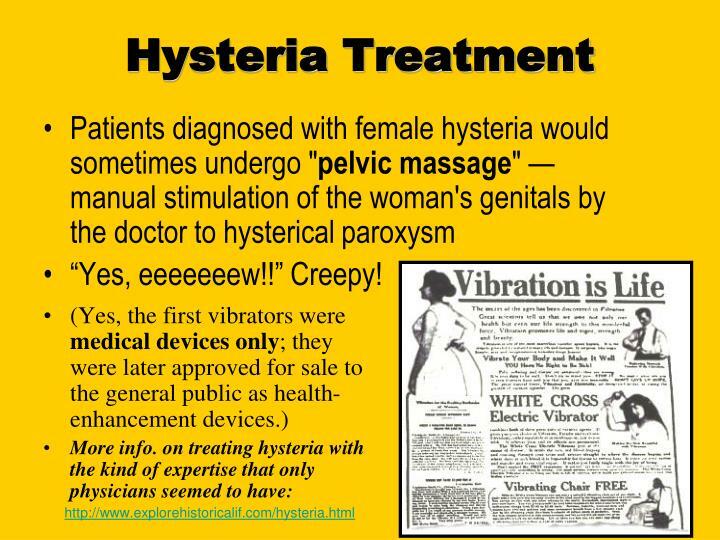 I found the slide about early hysteria treatment quite shocking, as well as intriguing. Categories: Uncategorized | Tags: "The Waste of Women's Labor", Charlotte Perkins Gilman, Charlotte Perkins Gilman Society, child birth, cooperative kitchens, cranial sacral massage for treatment of postpartum, early 20th century, early feminists, Edgar Cayce Center, female hysteria, feminists, intrusive thoughts, Leaning In, postpartum depression, postpartum psychosis, Schlesinger Library, Suffragists, The Sixth International Charlotte Perkins Gilman Conference Gilman and the Archive, The Yellow Wallpaper, treating female hysteria, US Library of Medicine, women and birth | Permalink.